Compost is sold on a first come, first serve basis. Blend compost with existing soil. 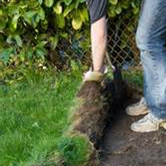 Use between 3 cubic yards per 1000 square feet (1" thick) to a maximum of 6 cubic yards per 1,000 square feet (2" thick). Roto-till soil, disc, or manually blend the layer of compost with 6" of existing soil. It is best to turnover/breakup the soil first, then apply compost, then mix the compost and loosened soil together. Blend compost with existing soil. Use between 1½ cubic yards per 1000 square feet (½" thick) to a maximum of 3 cubic yards per 1,000 square feet (1" thick). 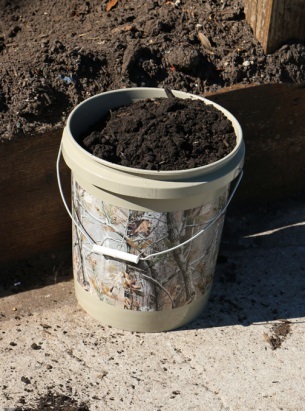 Roto-till soil, disc, or manually blend the layer of compost with 6" of existing soil. 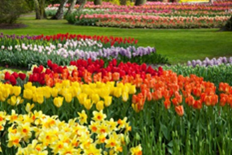 It is best to turnover/breakup the soil first, then apply compost, then mix the compost and loosened soil together. Mix one part compost with 3 parts of native soil and backfill around root ball. Spread one tablespoon per 6" pot or about ⅛" of compost evenly over the top of the soil and water. Repeat every 4 weeks or when required. For organic farmers, fruit and vegetable producers, orchard and vineyard managers, and cereal crop growers, compost has been proven to boost soil fertility, reduce irrigation requirements, and improve soil structure. 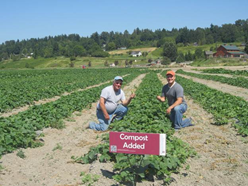 Compost reduces the need for inorganic fertilizer inputs, and allows organic farmers to maintain their organic grower status. Charleston County's Compost has been deemed suitable for use in organic farming by Clemson University. Currently, Charleston County is the only producer in SC to have this certification. 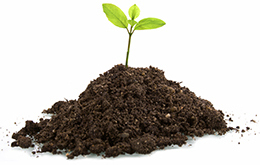 Landscape and lawn service companies improve soil with poor physical and chemical properties with the use of compost. Mulching, backfilling and planting beds with compost blends adds stable organic matter to existing soils that promotes plant establishment, improves moisture retention, and decreasing the demand for expensive chemical fertilizers. Golf course managers, sports field managers, and park operators use compost to encourage strong root formation, drought resistance and drainage, ensuring that the turf surfaces remain playable while reducing irrigation demands. Screened compost can be incorporated in soil prior to turf establishment or used to topdress established turf to provide nutrients and encourage aeration. 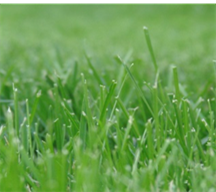 Additionally, compost has been shown to suppress common turf pests and diseases. 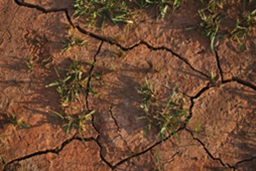 Sod farmers use compost to produce a denser, more drought-stress and disease resistant turf. When sod is cut, the application of compost can restore soil fertility and replace material removed. Nursery stock producers, pulp and paper producers and ornamental plant growers use compost to maintain soil fertility and help replace material removed with rootstock. 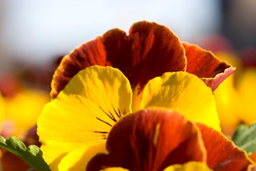 Commercial horticulturists blend compost with existing soil in field-growing operations, topdress raised beds or demonstration gardens with compost and incorporate compost into potting mixes. Compost has a high water holding capacity and can hold up to five times its weight in water. Construction contractors, government agencies, and conservation societies use compost to control water erosion on active construction sites and help speed the establishment of lawns, parks, medians or other bioinfiltration zones. Run-off from streets, parking lots, and construction areas can be filtered and absorbed by compost blankets, trapping pollutants and reducing urban runoff volumes. 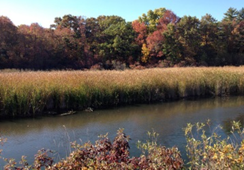 Additionally, slopes and stream banks susceptible to erosion can be protected through the use of compost blankets. For soils contaminated with toxic organic (e.g. solvents and pesticides) or inorganic (e.g. heavy metals) compounds, compost uniquely restores above and below ground biodiversity which is essential to ecosystem health and sustainability. Government agencies, conservation societies, military bases and private resource extraction companies use mature compost to provide an inexpensive and technologically straightforward solution for managing hazardous industrial waste streams and for remediating contaminated soils. Construction contractors, residential and commercial developers and architectural design teams use compost to improve soil fertility, reduce irrigation requirements and improve soil structure for vegetated roofs and living walls. Using a locally-produced, rapidly-renewable compost product can earn builders credits towards green building certification programs including LEED. 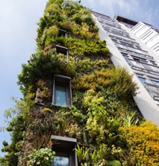 Using compost for landscaping around a green building site assists in the rapid and sustainable establishment of vegetation designed to shade paved surfaces, helping to decrease urban heat islands. 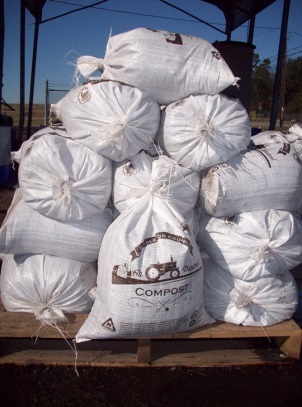 Because of the beneficial characteristics of compost, the product can be used for many different applications. The table below outlines the popular uses and applications for compost summarized by USCC. For more detailed information on compost applications, see the information below. Adding compost to soil increases the amount of organic matter, which helps to increase nutrient levels and conserve water. Compost can hold up to 10 times its own weight in water, so it is a very effective tool for water conservation.